Exploring your options for more energy efficient home windows is always a smart choice. What do your home's windows look out on, and are you seeing it properly? Modernize is your trusted source when you are looking for replacement windows in Corpus Christi, TX. Our reliable contractors can help you fix any problems you're having with your home's windows. You can enjoy a more energy efficient home by upgrading, repairing, or restoring your windows today! We take pride in what we do and we want to help ease the process of getting new windows installed. Look through our list of trusted window installers today! Get free quotes from the best window replacement contractors in Corpus Christi, TX, ready to complete your project. Buying new windows for your home in Corpus Christi is no small task. There are so many factors to take in consideration in your search for perfect replacement windows. First, there is the operational style and design of the window. You will also need to consider the climate in Corpus Christi, including the temperature changes and the severe weather the region experiences. In this window guide, we will provide you with the basic information you need to buy windows specifically for your home in Corpus Christi. High quality windows are built to last. In general, most windows will not need to be replaced any sooner than 15 years after they were installed and many will last as long as 25 years. But even the best windows will need to be replaced eventually. When the time comes to replace your windows, you will begin to notice a few telltale signs that they are no longer operating as well as they should. You may start to notice decay or rot of your window frames, moisture trapped between the window panes, or you may have difficulty getting your windows to open and close. No matter where you are living in the United States, there are a few basic decision you will need to make concerning your window purchases. There are a wide range of windows available, with designed based on how they are meant to operate within in the home. When you start shopping for windows, begin by asking yourself questions about what you need your windows to do in your home. If you are simply looking to bring more natural light inside, stationary windows such as picture windows and arched windows are a great choice. These windows are extremely customizable, available in numerous shapes and sizes. If you are looking for windows that open and close, bringing air and light into your home, there are multiple operational window styles to choose from. One of the most popular windows for residential homes is the double hung window. This window is fully operational, constructed from two vertically hung sashes that slide up or down to open. Before purchasing your windows, you will also need to determine if replacement or new construction windows are most appropriate for your home improvement project. New construction windows are designed to be nailed directly to exposed studs or frames, making them appropriate for new buildings or major renovation projects. Replacement windows, however, are custom designed to fit perfectly in the space left behind by by old windows without any need for making changes to the surrounding wall. There are also many design options available, with multiple color and finish options for the frame and hardware styles that can be finished in different colors as well. You can further customize your windows by choosing a grid design for your glass. Building permits and licenses are administered by individual city governments, so the requirements for replacing windows varies from city to city. In Corpus Christi, window replacements are considered to be a major home renovation and a permit must be purchased from the Department of Development Services. If you are planning on hiring a contractor to install your windows, it is important that you hire someone who is properly licensed and insured. Any contractors making major repairs or improvements to Corpus Christi homes are required to carry a general builder’s license through the Texas Department of Housing & Community Affairs. Contractors who have hired employees should also carry workers’ compensation insurance that will cover the cost if an employee is hospitalized or misses work after being injured on the job. 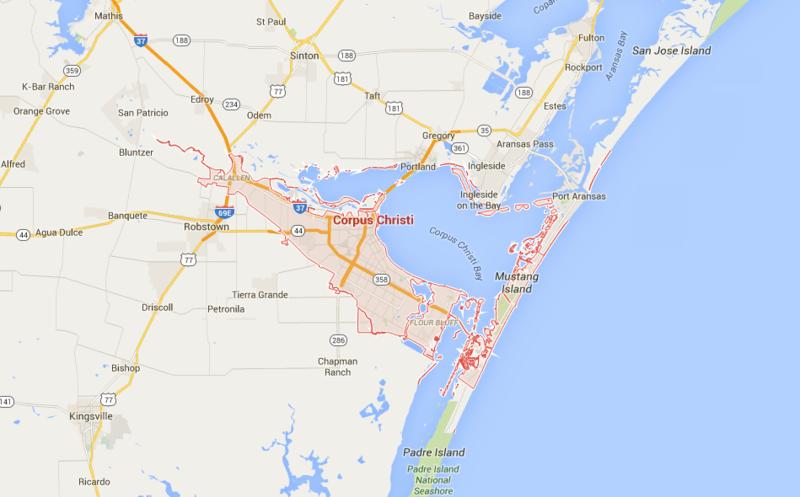 The City of Corpus Christi is located on the coast of the Gulf of Mexico. Because of this, the homes in this region are at a higher risk of being damaged by tropical storms or hurricanes. Knowing this, Texas has created a insurance program specifically targeted at Corpus Christi and other areas of Texas that experience extreme weather. The Windstorm Insurance Association requires homeowners in this area to pass an inspection in order to have additional coverage in case their home is damaged by a storm. Passing this inspection requires complying with a wide variety of home improvement guidelines, including purchasing from a list of window brands provided by the associated. Homeowners who are located in areas covered for Windstorm Insurance can find this list on the Texas Department of Insurance website. In general, it is smart to purchase impact resistant windows designed specifically to stand up against high winds and debris. According to guidelines outlined by ENERGY STAR®, Corpus Christi is located in the Southern Climate Zone. This region is characterized by hot and humid weather for most of the year. Homeowners can expect to rely heavily on their cooling system but will rarely use their heating system. The hottest month year is August, with an average high of 94 degrees, and the coldest month of the year is January with an average low of 47 degrees. ENERGY STAR® has created requirements to guide homeowners in selecting energy efficient windows that are appropriate for their climate. The National Fenestration Rating Council label placed on all new windows clearly outlines these guidelines for easy shopping. In Corpus Christi, there are two ratings on the NFRC label that homeowners should focus on. The U-Factor rating indicates how much heat enters or leaves the home through a window. In Corpus Christi, ENERGY STAR® requires new windows to have a U-Factor rating of 0.40 or less. The Solar Heat Gain Coefficient indicates how much solar radiation can pass through a window, heating the home. In Corpus Christi, ENERGY STAR® requires a Solar Heat Gain Coefficient rating of 0.25 or less. The humidity level in Corpus Christi should also influence your choice of windows. To find out how well a window will perform in high humidity climate, inquire about the condensation resistance rating before buying a window. This value is rated from 0 to 100, with 100 representing the best resistance to excess moisture in the air. Making the investment in energy efficient windows made specifically for a hot and humid climate like Corpus Christi’s, with impact resistant features for the wind and debris of coastal storms is one of the smartest home improvements local homeowners can make. According to ENERGY STAR®, replacement windows that comply with their guidelines can save homeowners in Texas as much as $266 on yearly utility costs. In addition to utility savings, you can expect at 70% return-on-investment if you choose to sell your home in the future.